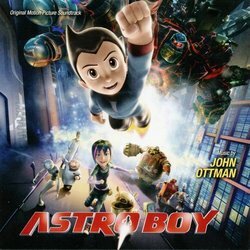 It is extremely tempting to describe Astro Boy by John Ottman as a bit of a rehash of Superman Returns and Fantastic 4, but there is decidedly a different kind of playful energy, pizzaz, inspiring beauty, and child-like wonder that fills this movie score to the brim with moments that will keep your ears more than entertained. The exciting and sometimes unusual orchestrations and unabashed use of percussion and emotional choir feel very much like a homage to the early James Horner scores such as We're Back and the Land Before Time. The playful and fantastical elements of the album that give it its identity as a children's super-hero movie is unfortunately taken a little too literally around the middle section, featuring a lot of mickey-mousing and rapid changes in rhythm, causing a bit of a rift in the listening experience. 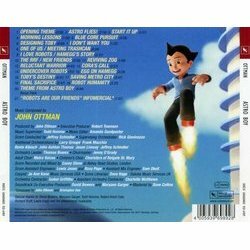 Once you get past these few distracting cues - or just edit them out of your playlist - it becomes a solid action score with heartfelt moments thereafter. 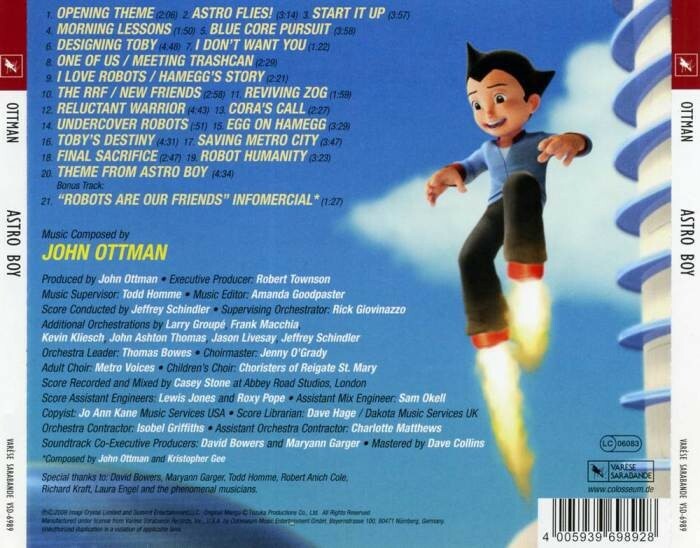 This is definitely an above average offering for a summer kid's film leaving me hoping for a sequel or maybe just more opportunities for John Ottman to truly spread his compositional wings and soar with projects of this variety in the near future!